I think this collection is actually called "The Summer Collection." Seriously! It's printed on the little display box and everything. Demure Vixen. What a strange color. Not in a bad way, though! It's a mauvey, putty-ish light purple but it has a really interesting contrasting violet shimmer. They describe it as a duochrome, I don't think I'd quite call it a duochrome, but it does have competing base and shimmer- it's like they don't look like they're part of one polish, you see both the base color and the shimmer separately, fighting for attention. I rather like it. Miss Matched. A milky pale lavender-toned pink. Not bad but not really that interesting. Doesn't particularly say 'summer' to me either. The soft lavender shade is even paler than all the pastel ones we've been seeing lately, and it has a lot more pink to it. Knockout Pout. Okay, this is where things get weird. You see the color in the bottle? It is a pale milky pink. Looks like the standard Essie sheer pink. I was not really enthusiastic about swatching it, but I'm glad I did.. because.. when you open the bottle and put it on, it's really BRIGHT NEON PINK!! Yeah, seriously!! Isn't that crazy??? I was so confused. Anyway, this particular neon pink is of the light variety very much like China Glaze Shocking Pink. Haute As Hello. This was the same way as Knockout Pout. I'm looking at the bottle this whole time thinking, "More pastels for summer? Didn't we just see this same color in Spring?" and then I open the bottle to apply it... And it turns out it's semi-neon orange coral. That was a really nice surprise. I was pretty relieved to see it wasn't another pastel. So... this color... coral. 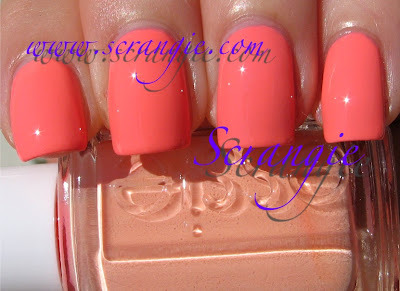 This says coral to me, but it's very orange toned. Call it coral, salmon, orange-pink... This shade has a strange brightness. It's bold and punchy but it doesn't seem like a 'true' neon to me. It does dry matte, interestingly enough, so maybe it does have some neon pigment in it. You know what this reminds me of? My new Make Up For Ever eyeshadow in #5. Pretty Edgy. Hell. Yes. OMG. I can't believe I'm seeing this. 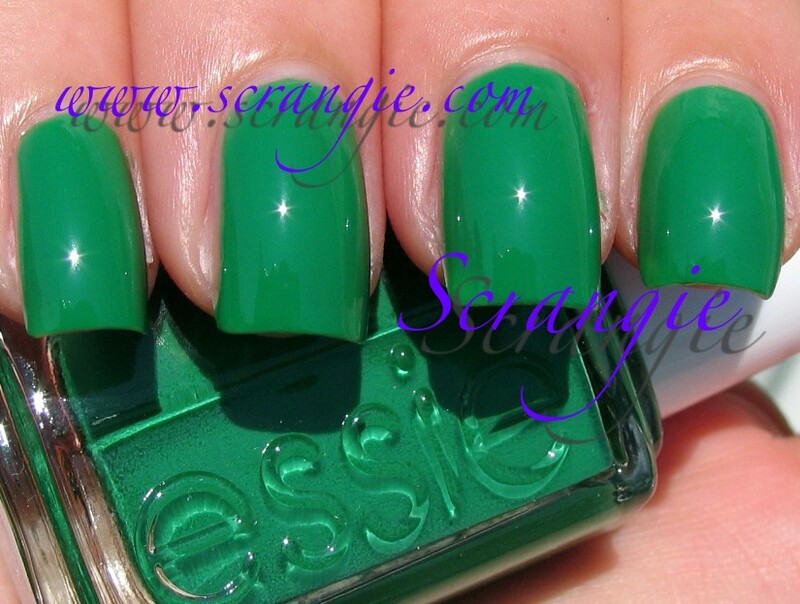 Essie did a true green! Finally! I've been really hoping for this for a long time! This particular shade did not disappoint. It is a medium yellow-toned grass green/leaf green creme. Very obvious green. Noticeable. Fresh looking. The only downside is I don't think it suits my skintone particularly well- makes my hands take on a yellow cast. But, that doesn't really bother me... I like this color too much to care. Vermillionaire. I always thought vermilion was redder. But this color is pure orange. Sweet, sweet orange. I have a thing for orange polish. Maybe it's my obsession with Halloween or fall or pumpkins... but I love orange. Very happy about this shade. It's very very bright. I don't think this one is a 'true' neon either because it lacks that bright burning glow that makes neons special, but it is bright. Very rich color. The formula was good. On the thin side but it didn't give me any trouble. The brushes seemed bigger than the winter collection but still small- no Pro-Wide style brushes here! I did three coats of all, I think they needed the three coats. Vermillionaire and Knockout Pout would be fine with two, but I had a little visible nail line on the others. Dry time was very good. Some of these were mostly dry by the time I was done taking the picture. This collection really was a surprise. I was looking at the polishes in the box thinking... Summer collection... four pale/sheers in a summer collection? Where's the color? At least there's a green. And then I swatched it. There was much confusion and rejoicing. No sheers. One or two pale colors, but also some neon! Haute as Hello is pretty unique. I have orangey corals, but none seem to have that neon glow to them. I'm sure there are matches for the rest of the colors here, maybe not Demure Vixen, that seems pretty unique too... but I can't think of any at the moment. Oh yeah, China Glaze Shocking Pink and Knockout Pout seemed a little similar to me. If I'm remembering my China Glaze neons correctly... Shocking Pink was the light pink creme one, right? I'm probably not even remembering the right one. 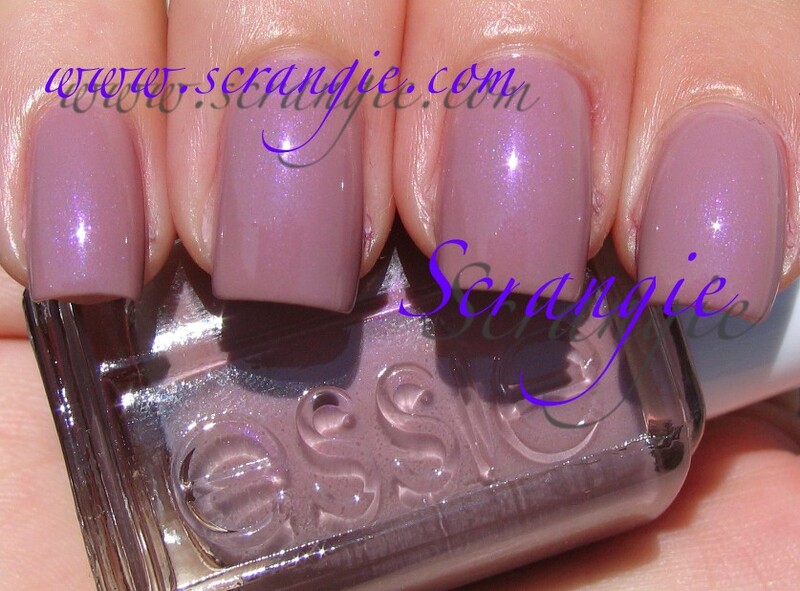 But I do prefer the formula of the Essie for this particular shade anyway. Well, oddly enough, I only like the pale, whitish pink. I find Essie's formula terrible, and since I'm in no way as good as you to apply polish, I guess I won't even try these. I have around 800 polishes and only 5 or 6 Essies. So, for some reason this brand never appeals to me. Anyway, you always make everything look gorgeous! Thanks so much for the pictures! Boy, that pink and orange are pretty deceiving. I would never pick up those colors if you hadn't swatched them. How deceiving that pink and orange are! I would've never picked up those colors if you hadn't swatched them. Nice swatches! I picked up Demure Vixen and Pretty Edgy, I am not sure about the rest.. we will have to see~!!! I already purchased Pretty Edgy, and now I want the rest. I had no idea how bright the "pastels" were! When I hold up my bottle of Essie Uptown Taupe to your Demure Vixen bottle shot onscreen, they look like the same colour. Anyone know how similar they are IRL? Demure Vixen pops out at me...I can't figure out why, exactly. That's awesome about Knockout Pout and Haute as Hello, haha. And of course I have to have Pretty Edgy. Great swatches, as always! this collection is amazing! I do have a question for you though, where can I see more Misa colors? I'm trying to order some off line and I would like to get more familiar with them! thanks!! Bwaaaa, I'm so happy Pretty Edgy is coming my way. It looks like a great green! That's so weird about Haute As Hello and Knockout Pout. The bottles I have (from Ulta) look and apply like your swatches, not like the pastel bottle colors you have. How bizzare! I really loved this collection! I knew I had to have Knockout Pout from the start, but after seeing Demure Vixen swatched I had to have that one too! It's such a surprisingly awesome color. For Knockout Pout and Haute as Hello - I noticed that they have to be definitely kept in the dark and shaken well if you want to see the true color in it. I had mine sitting by my bed for a few hours and noticed it looked pastel, gave it a good shake and it's fine now. In the stores they looked pigmented as well. So odd! omg, i need Knockout Pout, Haute as Hello, and Vermillionaire in my life like, YESTERDAY! I bought the mini bottles for this collection but I liked Demure Vixen so much that I ended up getting it full-sized. It was a surprise. coincidentally, i just received my Pretty Edgy and I love it! not a fan of green nails, I am a convert with this color. 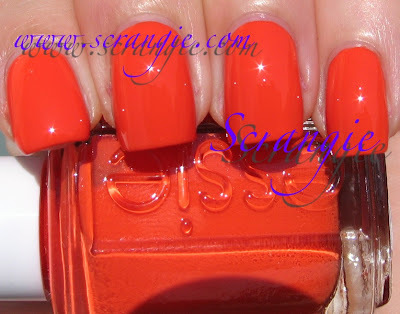 I love Essie's formula too - very smooth and not goopy. How freaking odd are those neon/pastel polishes? Haha I like them. Picked up Pretty Edgy the other day and I'm glad I did! I think I'll go back for Demure Vixen, though...something very interesting about that shade. I love Pretty Edgy and Vermillionaire. I surprisingly like Demure Vixen as well. I probably wouldn't if it wasn't for that shimmer in it. When I first saw "Haute as Hello" it caught my attention immedially. It's so beautiful. 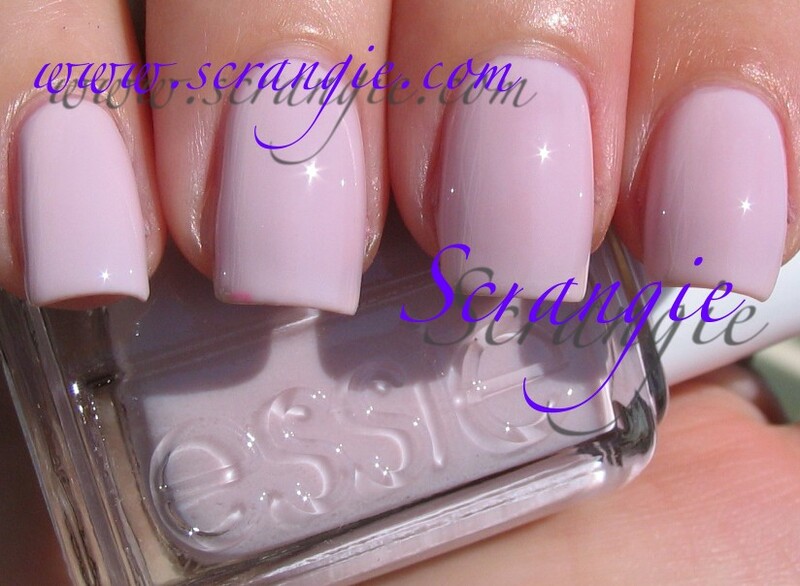 How close is it to Essie's "Tart Deco"??? Could you do a comparison, please??? Demure Vixen is a colour that really surprised me. Soft yet different. I totally thought it would be just a snooze (which seems to be the norm for me whenever I see Essie collections), but your gorgeous swatch really changed my mind. WHOA Haute as Hello NEEDS to be mine!! Like I'm going to go buy it ASAP. I am so surprised at that color! omg! i freaking love demure vixen! it's kinda weird for summer collection. anyways, nice one! yes...*poke* More cool colors from Essie! Hi, may I still request comparison of OPI? I would like to see the diff between sweet memories and pink de gaillo and privacy please. Looking for pink polishes without any glitter/shine :D Thanks! OMG, I whant them all!